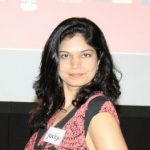 A leadership coach mentored by John Mattone (former executive coach to the late Steve Jobs ), HR expert, Podcaster and mother of 2 lovely kids, Puja Talesara has donned multiple hats with success. 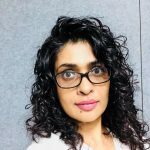 Puja will be sharing podcasts on her perspective on excellence which is garnered through her journey of playing different roles and learning through different life experiences. She has climbed the ladder of success facing those challenges which probably every woman has to face and she has come out with solutions with every challenge. So we invite you to discover your excellence following incredible tips shared by Puja Talesera. Who know those tips might do wonders for you! 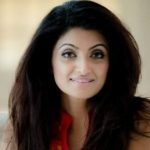 Puja is an internationally certified leadership and workplace coach. She firmly believes inward excellence leads to outward excellence and impact. 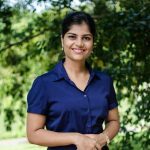 Puja has over a decade of rich and accomplished experience in HR. She dabbles her role as an OD consultant and Podcaster. She is the Co-founder of the Leadership Demystified, a LinkedIn based podcast series, which unravels the conundrum around leadership. Her series has reached viewership of around 200k within the span of six months. She was mentored and trained by John Mattone, ex-coach of Steve jobs and Rogers of PepsiCo. She is being interviewed by Global podcast channels and Millennial blogs to share her perspective.